It’s December again. Let the Christmas countdown commence! 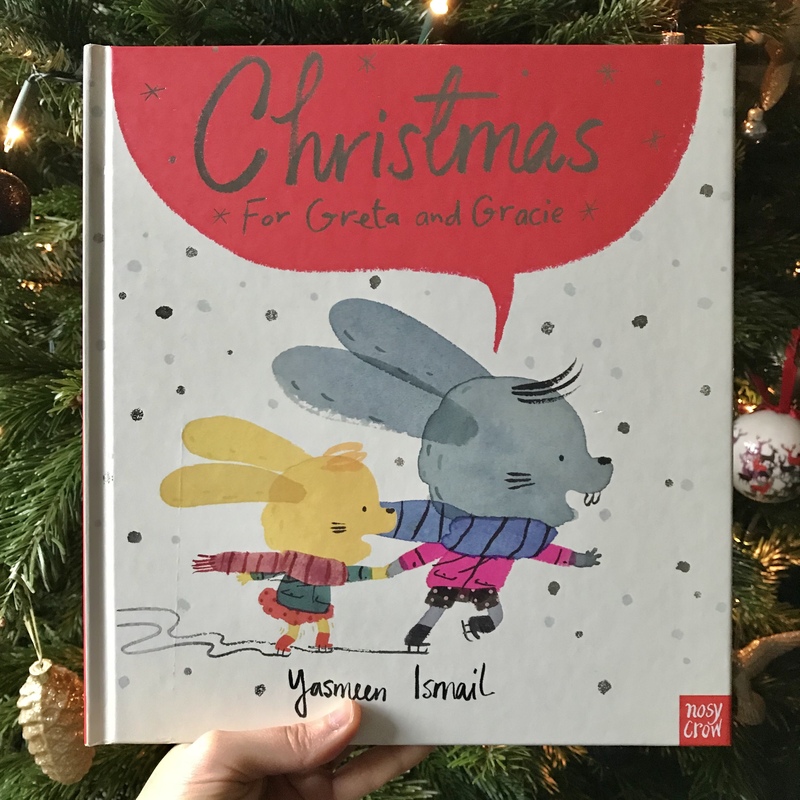 And let me share a Christmas picture book that makes a perfect stocking filler – Christmas For Greta and Gracie by Yasmeen Ismail (Nosy Crow 2015). As the title suggests, the story set around a Christmas time and it features a Christmas miracle, but at its core it’s about beauty of being introvert. To my and fellow introverts’ delight, Gracie flights back (in her own quiet way). In the night of Christmas Eve, Gracie hears a funny noise while Greta is snoring away. It leads to a surprising and magical encounter that Gracie proves it’s good to be slow, little and quiet. The next morning Gracie tells her big sister about the Christmas miracle and it leaves chitty chatty Greta lost for words! I can tell you the expression on Greta’s face at the end is priceless! Ismail’s illustrations are ever so sweet and delightful and the use of speech bubbles is genius. I would suggest this book to all the introvert kids in the world and let them know it’s OK to be quiet and shy because, as Susan Cain says, it’s not something that needs to be cured. On the contrary, introverts tend to be creative and observant with high emotional intelligence. Let us embrace who we are and enjoy merry yet chilled holiday season! Merry Christmas and happy reading, everyone!